Mike Kololyan and Mike Reinhardt emerge from the icy waters off 96th St. Beach in Rockaway, N.Y., covered from head to toe by their wetsuits, though their faces remain exposed to the elements. Wearing a thicker, six-millimeter suit with booties and a hoodie is the only way to tolerate the bone-chilling conditions created by a recent Nor’easter. 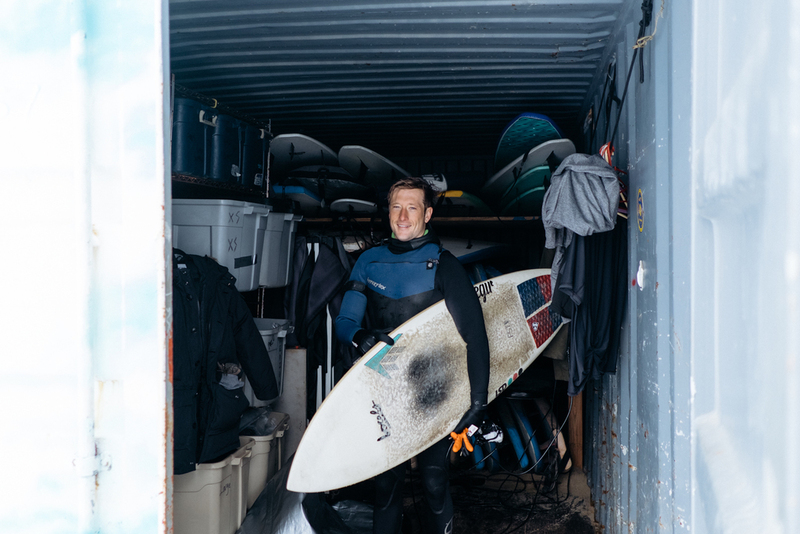 The duo are among a group of 10 or so locals fearless enough to venture into the water the day after the storm, which dumped more than six inches of snow throughout the tri-state area. 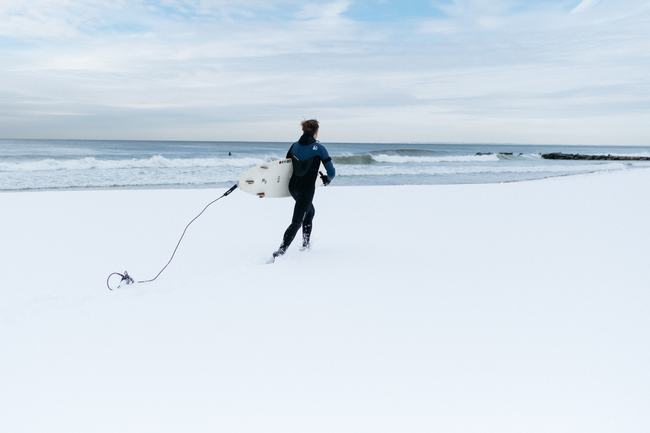 East Coast surfers know winter storms often cause the best waves. Nor’easters can bring sets anywhere from 4-6 feet or 6-10 feet. With the increased swells comes the added risk of a strong current, which can drag surfers into hazardous areas including jetties. 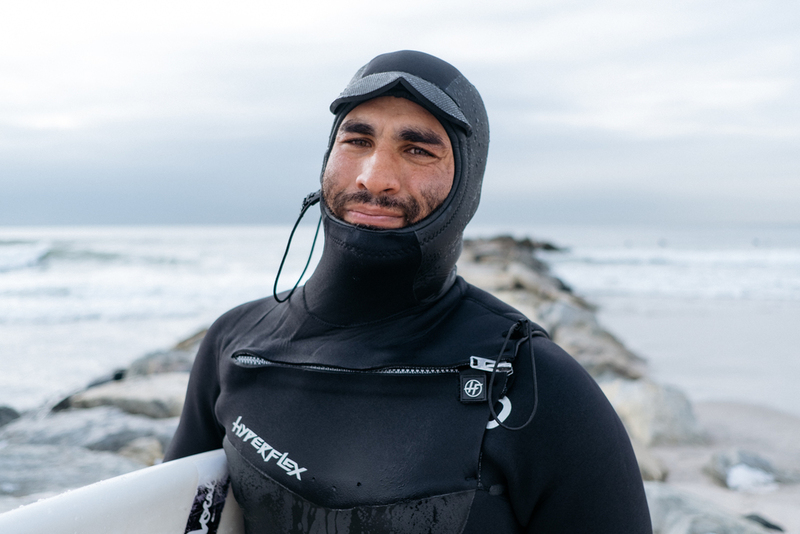 One surfer doesn’t have a hood on his wetsuit. Kololyan and Reinhardt voice their concern, but he still plunges into the 30-degree waters without it. “In California, if you miss today, you know the waves will be good tomorrow or next week, but you don’t know that here,” Reinhardt says. “You have to be more driven, hungrier, and more passionate about it here. I think people really share that passion. 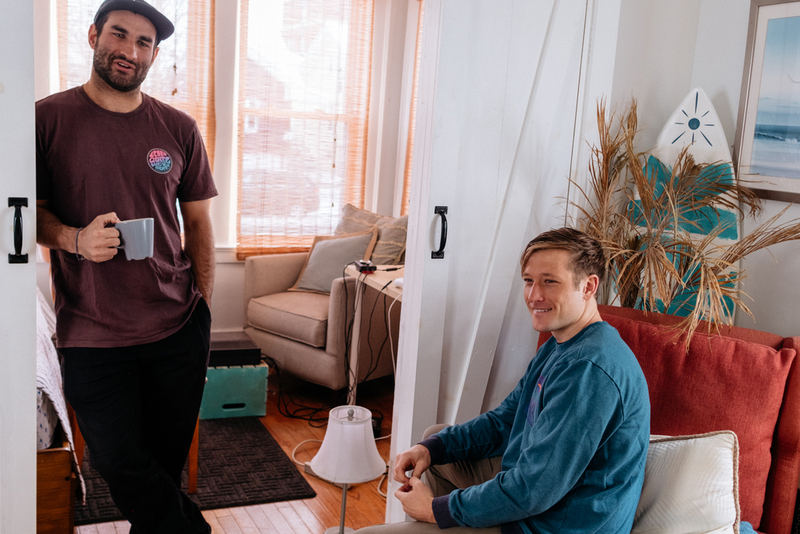 Kololyan and Reinhardt were born and raised in Rockaway, a peninsula located along the coast of Queens sandwiched between Jamaica Bay and the Atlantic Ocean. 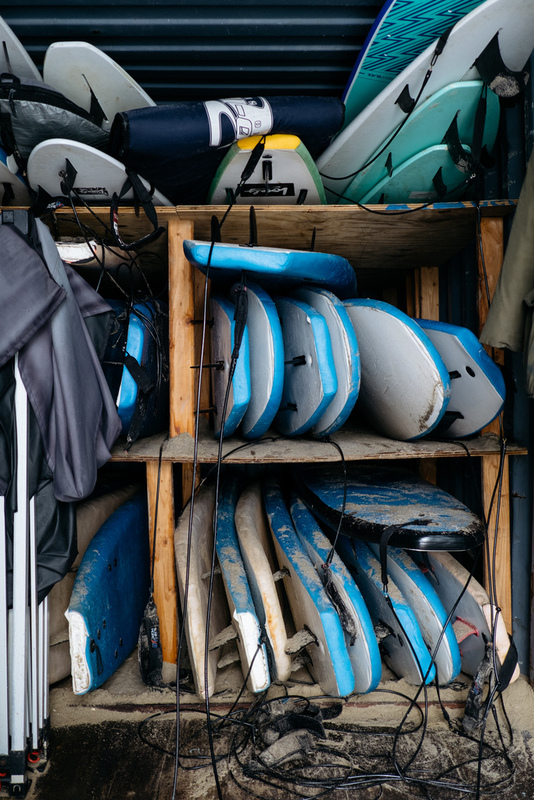 They took their expert knowledge of the area and its waters and turned it into a business, opening Locals Surf School in 2012. Their local pride was tested in October 2012 when Hurricane Sandy wreaked havoc on the area’s approximately 120,000 residents, along with much of the Northeast. Neither Kololyan or Reinhardt left during the storm, despite fearing for their lives and witnessing the catastrophe firsthand. Houses were destroyed, flooding was rampant, and the boardwalk was demolished. Limited access due to the rising waters meant firefighters and residents could only watch helplessly as a fire spread across Breezy Point, destroying 126 homes and damaging 22 more. Fires also ravaged several blocks in Belle Harbor and Rockaway Park. Following the hurricane, Rockaway was slowly rebuilt. With the area in shambles and property prices low, outsiders came in and built businesses and new residences, a welcome sight for some, including Kololyan. 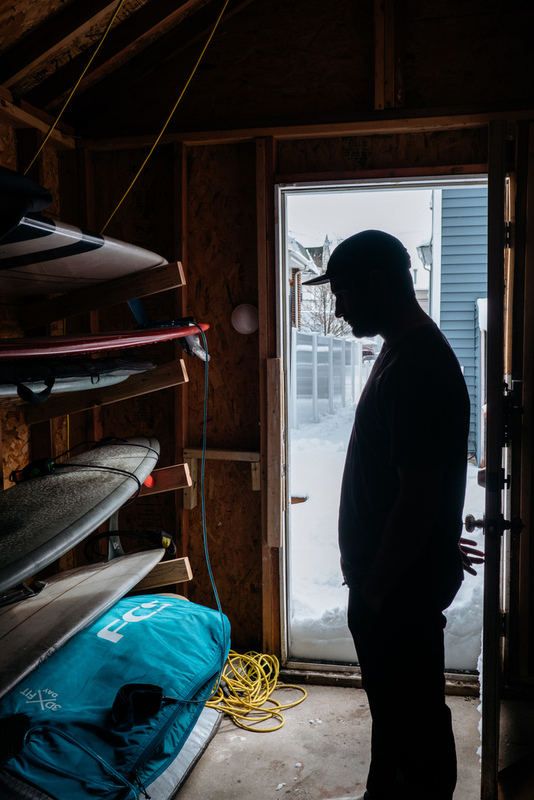 Locals Surf School, which halted operation for six months after Sandy, began again, focusing its efforts on bringing awareness to the area’s devastation as well as helping rebuild its economy. Patrons would come for a surf lesson, eat and drink at local establishments, and stay at local hotels. 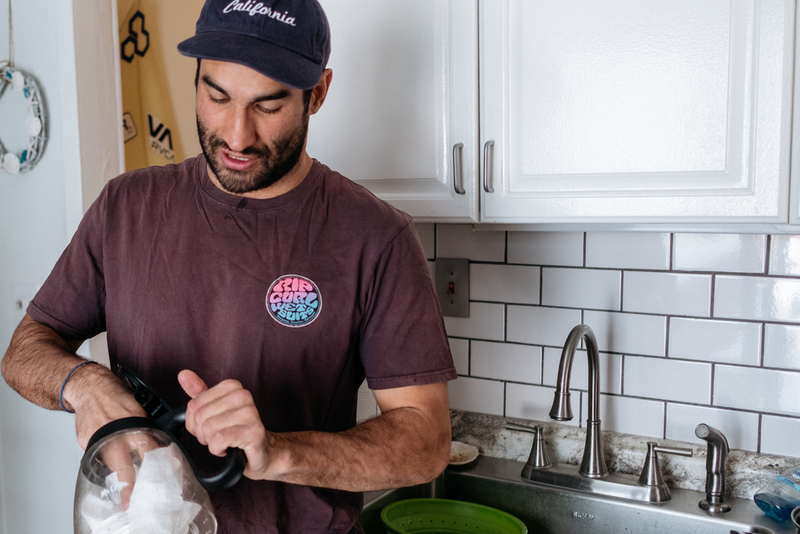 Six years after Sandy, Rockaway is thriving. A new FEMA-funded 5.5-mile concrete boardwalk was finished in spring 2017, and the federal government replenished more than 3.5 million cubic yards of beach sand. Traces of the storm are long gone, as if it were a bad dream. The Army Corps of Engineers is in the process of acquiring funds for a project that would beef up the peninsula’s flood walls and levees to provide a better defense should Rockaway be hit again. Kololyan and Reinhardt continue to grow their business, giving back to a place that has given them so much over the years. Matthäus, who played for Bayern Munich from 1984-88 and 1992-2000, said the match-up, which many people would dream for in the final, is pretty much a toss up. Former AC Milan and Italy defender Paolo Maldini has insisted he is not interested in coaching the Italy National Team despite holding conversations with Alessandro Costacurta, Italian Football Federation (FIGC) vice commissioner.